The Supreme Court is scheduled to hear on Monday the version of the Central Vigilance Commission, which was directed to complete within two weeks its preliminary inquiry against CBI Director Alok Kumar Verma, who has been divested of his duties and sent on leave by the Centre. 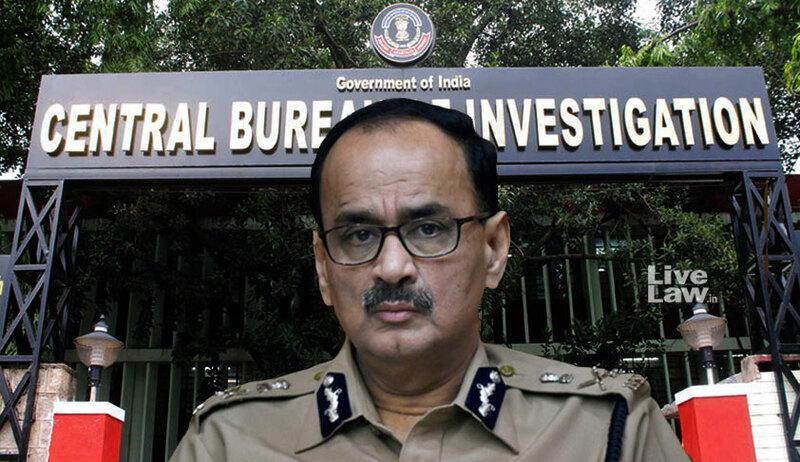 The hearing assumes significance as Verma, who has a running feud with Special CBI Director Rakesh Asthana, has been appearing before the three-member CVC headed by K V Chowdary and is understood to have given point-wise refusal to all the allegations levelled against him by his deputy. Verma's plea, which had been heard by a three-judge bench headed by Chief Justice Ranjan Gogoi on previous occasions, is now listed for hearing on November 12 before a two-judge bench comprising the CJI and Justice S K Kaul. The decision that a smaller bench would hear the case has come after the CJI, in his recent informal interaction with journalists, said that on Mondays and Fridays, when the apex court hears miscellaneous cases, only two-judge benches would sit. The court had appointed former apex court judge A K Patnaik to supervise the ongoing inquiry of CVC against Verma. Besides issuing notices to the Centre and the CVC on the plea of Verma, the apex court, on October 26, had also set a deadline of two weeks for the CVC to complete the preliminary inquiry against the CBI director. It had also barred IPS officer M Nageswara Rao, who has been given interim charge of the CBI, from taking any major decision. The top court on Monday would also peruse the decisions taken by Rao from October 23, including transfer of investigations and change of investigating officers and may pass some appropriate orders on them. It had said that a list of all the decisions taken by Rao between "October 23, 2018 and up to this hour including decisions with regard to transfer of investigations, change of investigating officer(s) etc will be furnished to the court in a sealed cover on or before November 12, 2018 whereafter orders as would be appropriate will be passed by the court." Solicitor General Tushar Mehta, appearing for the CVC, had said that the CVC has been conducting an inquiry into the allegations made in the August 24 note/letter of the Cabinet Secretary with regard to Verma. Besides the plea filed by Verma, the court is also seized of the PIL filed by NGO Common Cause, which has sought a probe by special investigation team against CBI officers including Asthana, and had issued notices to the Centre, CBI, CVC, Asthana, Verma and Rao asking them to respond to it by November 12. Asthana has also moved the Supreme Court with a separate petition in the matter and has sought removal of Verma from the post of CBI Director. "We want to see preliminary probe report in 10 days to decide whether it requires further probe," the bench had said.